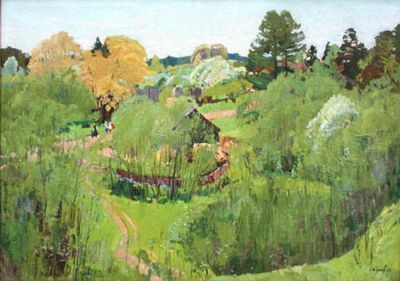 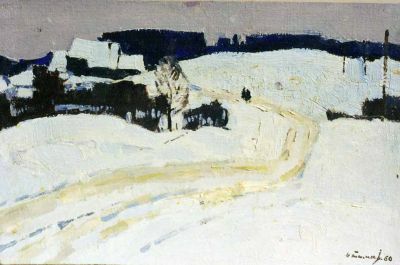 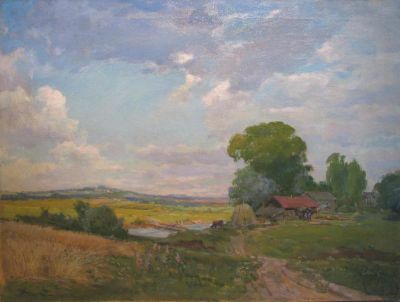 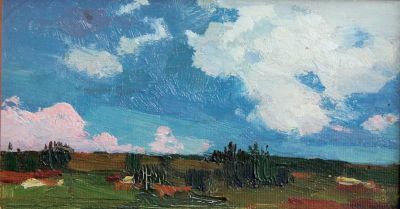 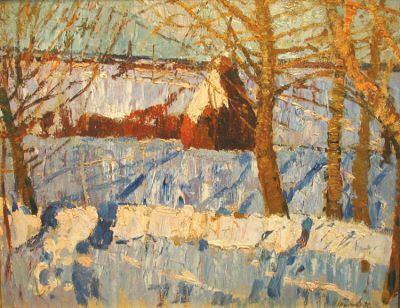 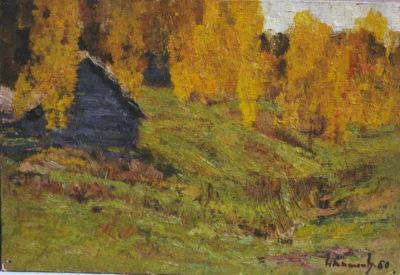 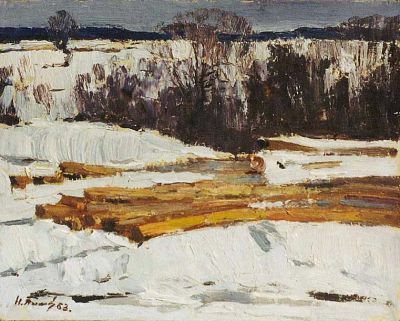 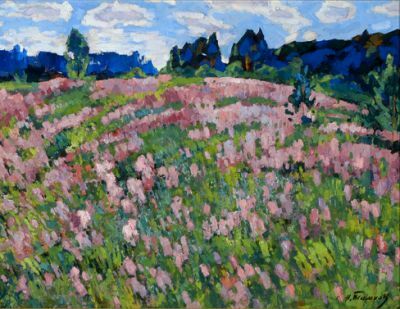 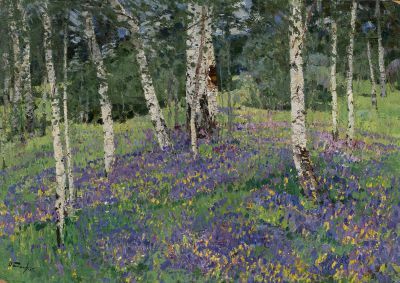 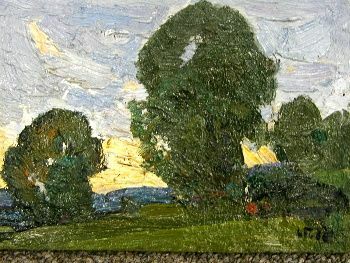 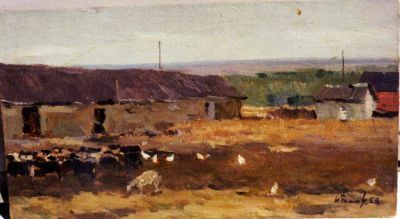 Nikolai Efimovich Timkov is one of the greatest Russian landscape painters of the second half of the twentieth century using Impressionism to capture his subject. 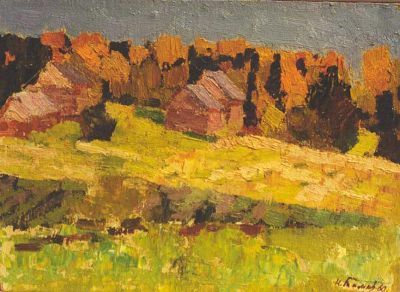 He began his formal training in 1928 at the Rostov Art College. 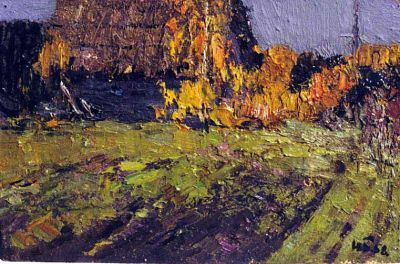 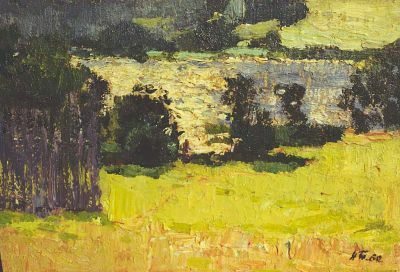 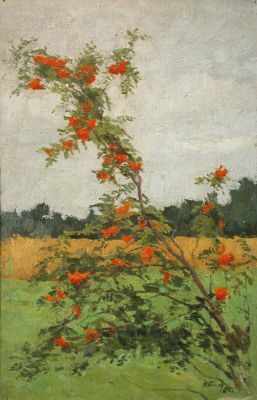 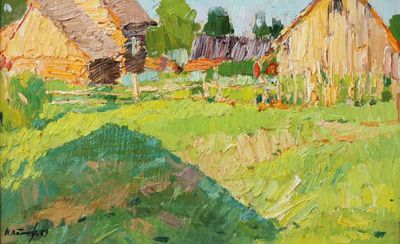 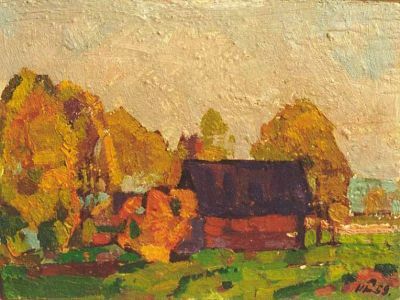 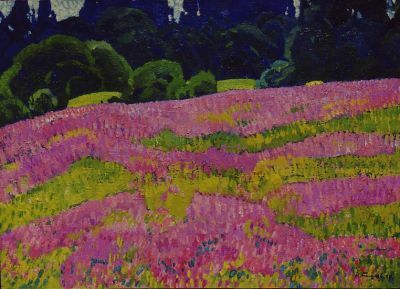 Later he continued his studies at the Moscow Institute of Art and the All Russian Academy of Art. 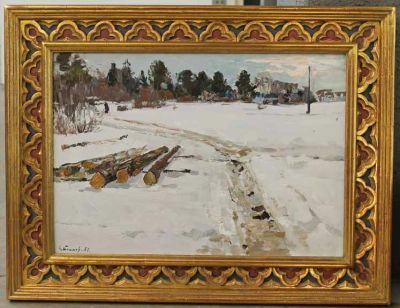 He served in the Russian Navy during World War II. 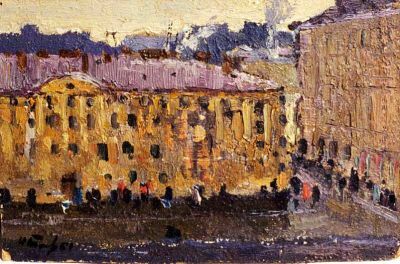 In 1947, he had his first one man exhibition at the Russian Federation of Artists in Leningrad. 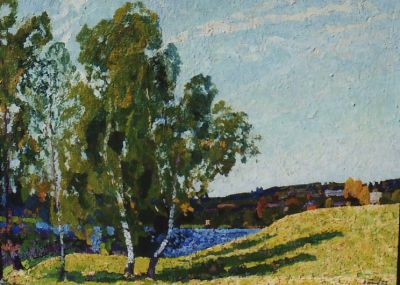 In 1987, he was awarded the coveted title of "Honorable Artist of the Russian Federation", solidifying his place among the great artists in Russian history. 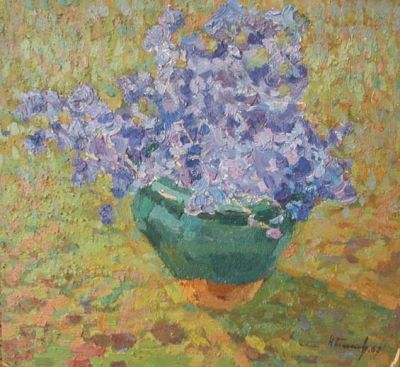 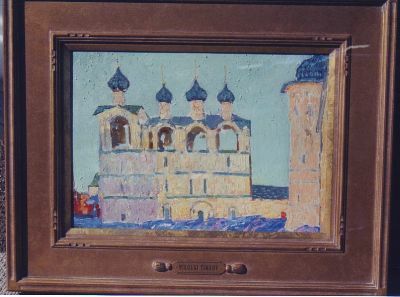 His paintings are in all major Russian museums as well as numerous private collections throughout the world. 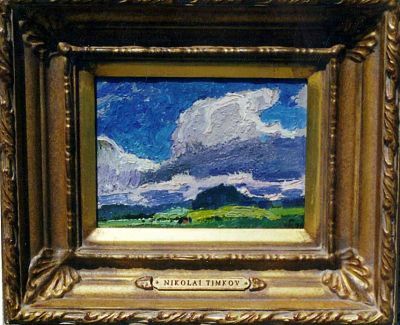 Timkov is listed on page 317 of Matthew Bown’s, A Dictionary of Twentieth Century Russian and Soviet Painters. 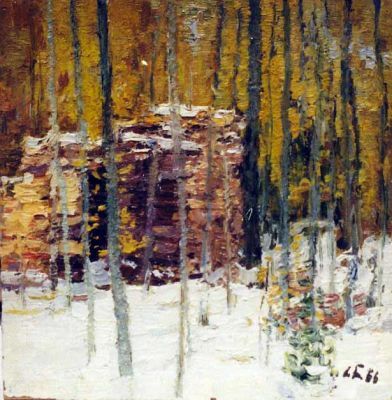 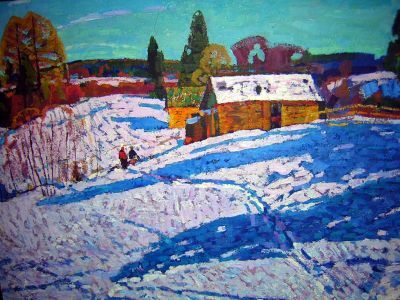 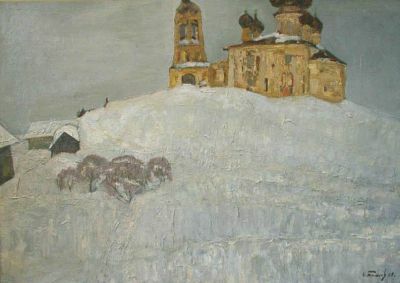 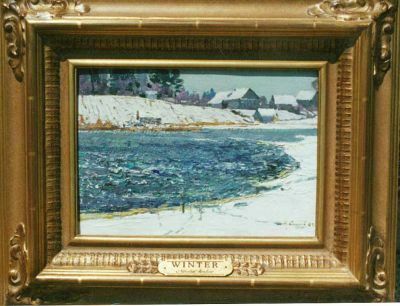 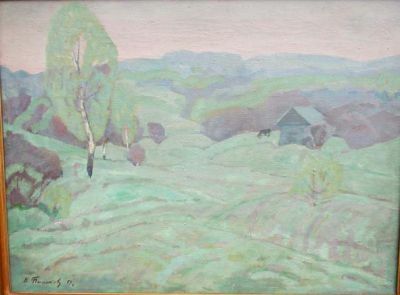 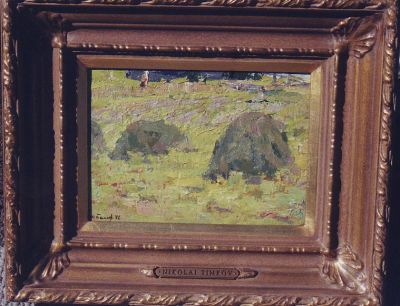 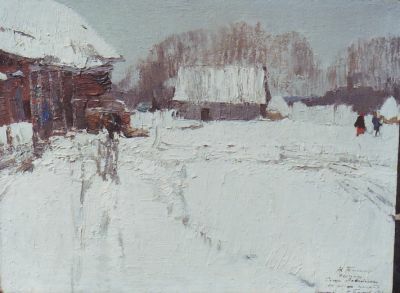 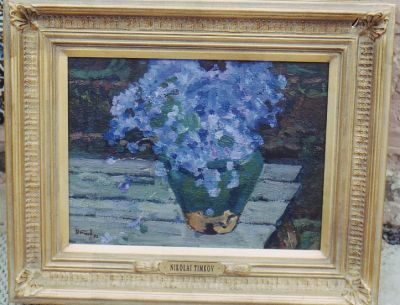 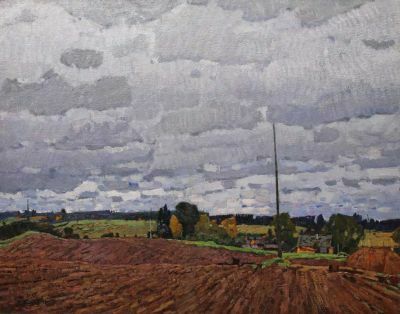 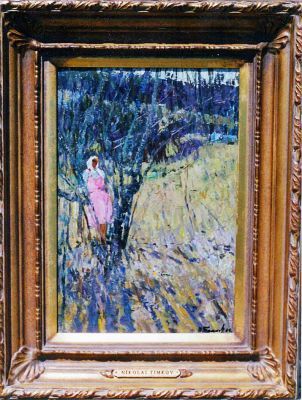 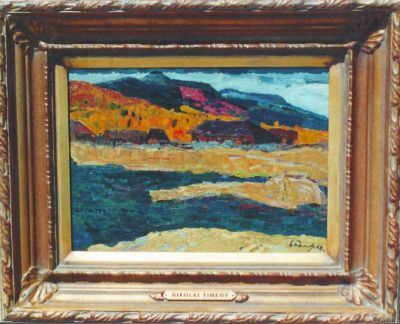 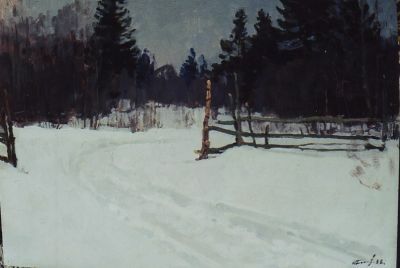 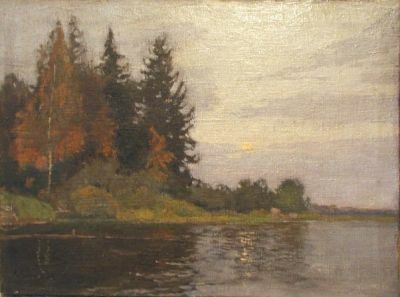 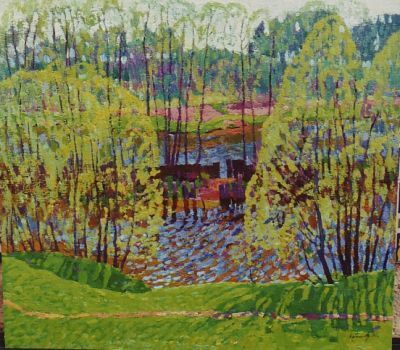 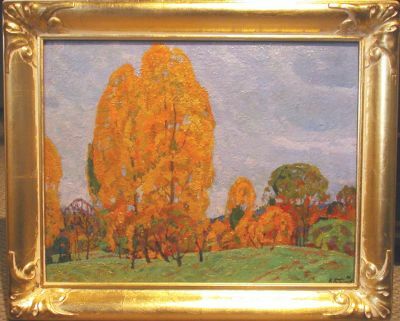 His paintings appear in hundreds of books on Russian and Soviet art as well as in 3 artist monographs printed in the United States in the 1990s. 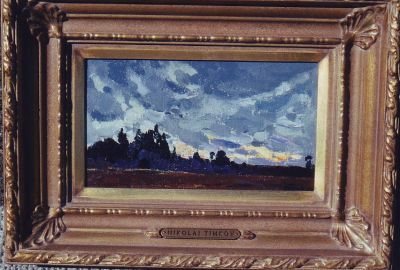 Nikolai E. Timkov suffered a heart attack at the close of his last exhibition at the St. Petersburg Union of Artists and passed away on December 23, 1993 at the age of 81.